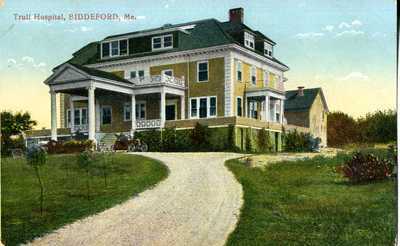 "Biddeford, Maine, Trull Hospital "
A postcard of Trull Hospital, Biddeford, Me. An electric car is parked in front of the hospital. The hospital has yellow or gold siding with flowers and bushes around the front.